Cleverly named and cleverly designed, our FONTastic Invitation is the innovative party invite you could well have been searching for. 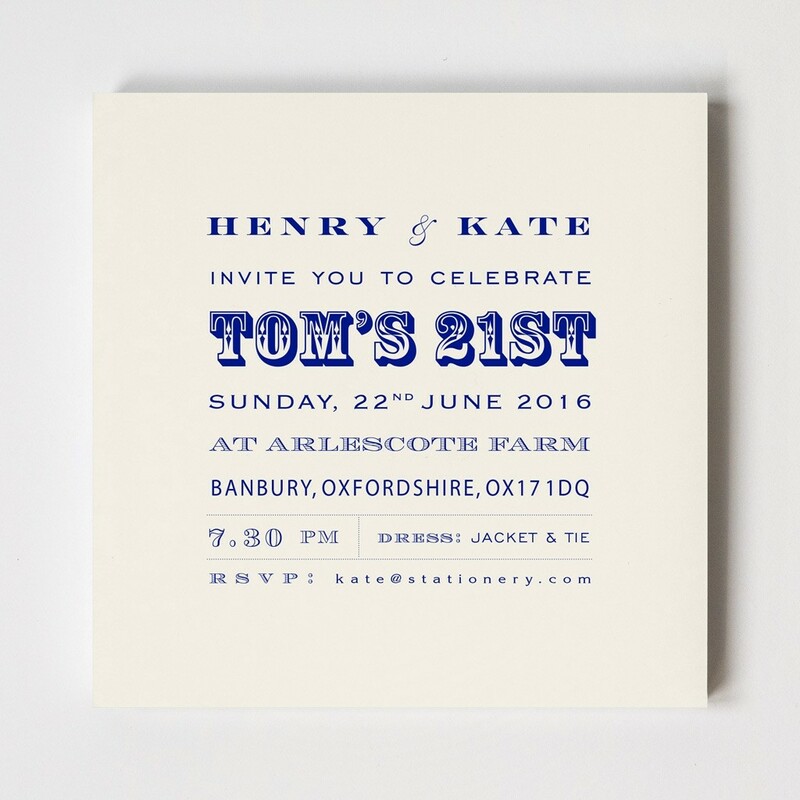 Comprising of a variety of modern typestyles, our FONTastic Invitation is a truly unique design, with your personalisation being displayed in a wide array of fonts and the ink colour of your choice. Printed on 400gsm stock, our FONTastic Invitation is supplied with matching envelopes and measures 150mm by 150mm.